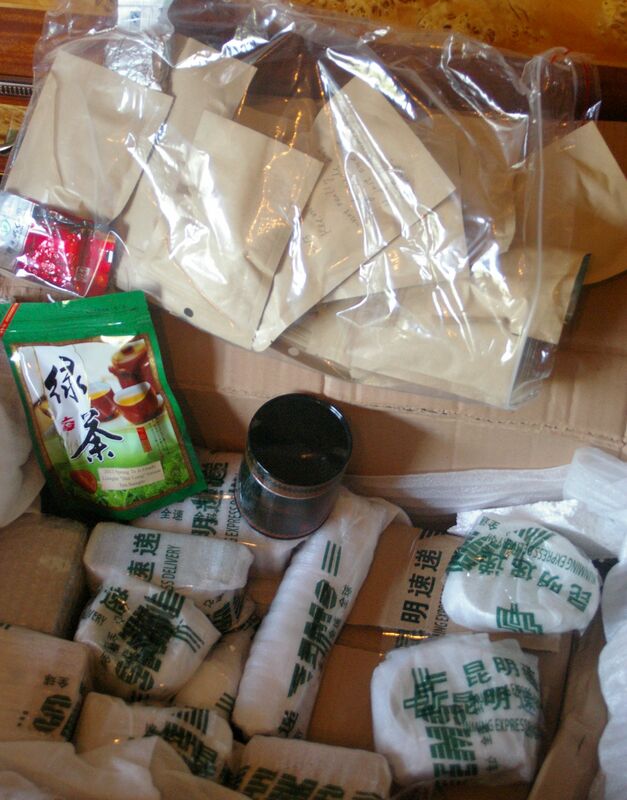 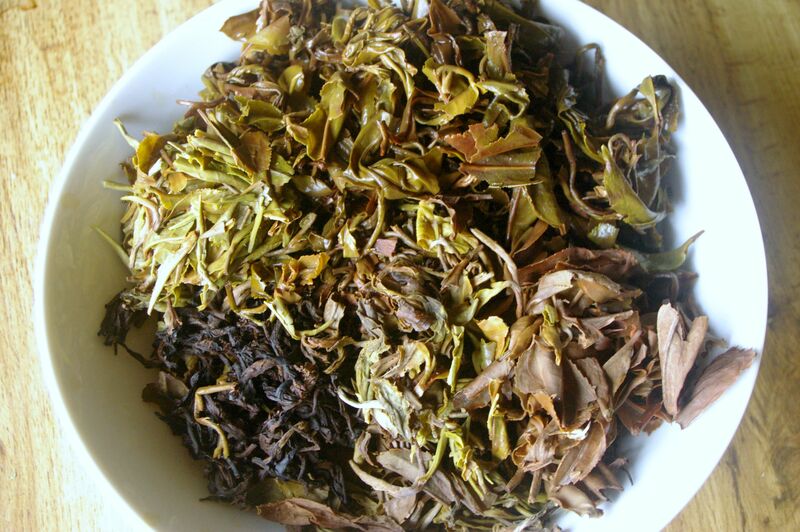 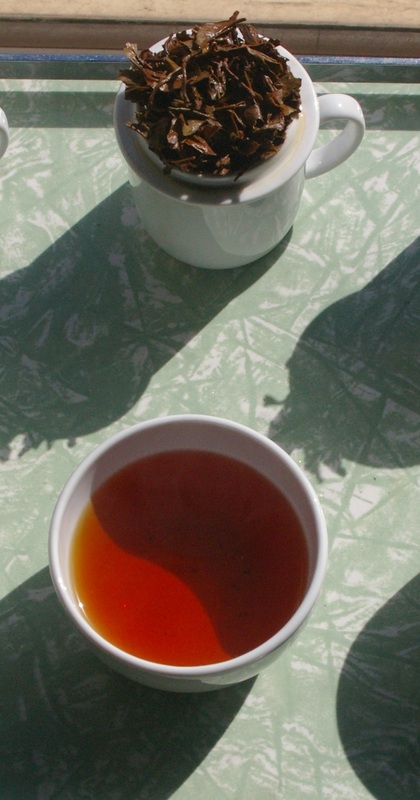 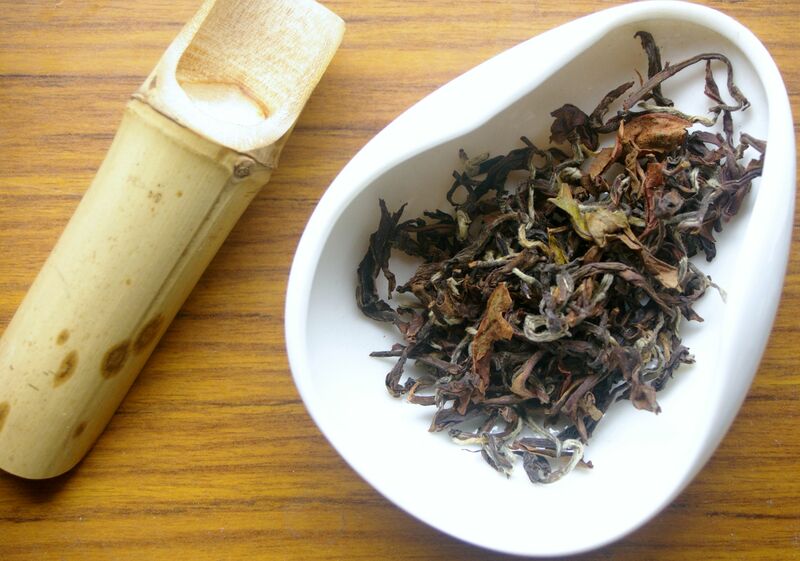 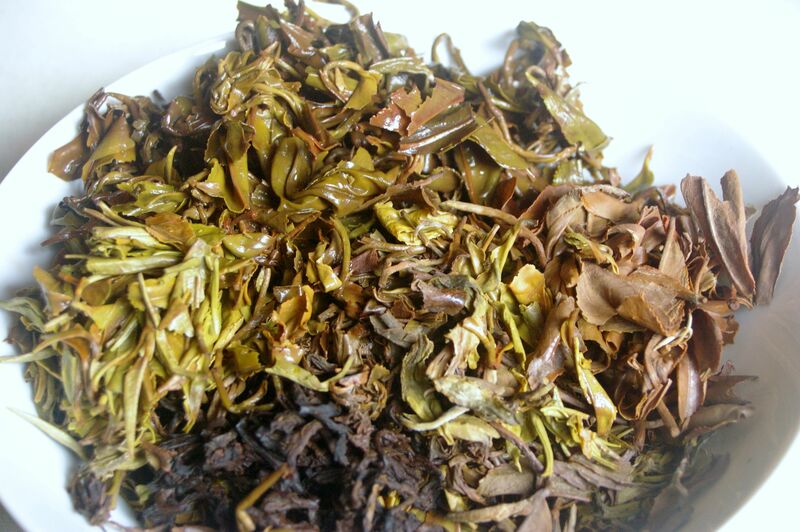 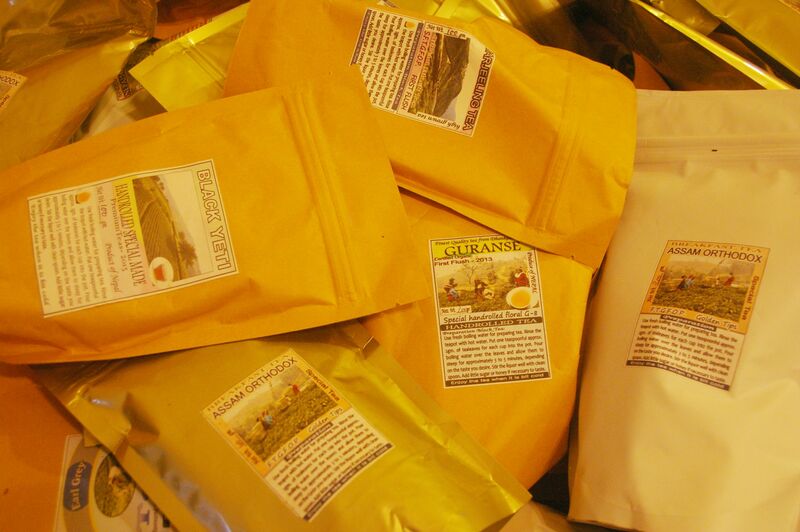 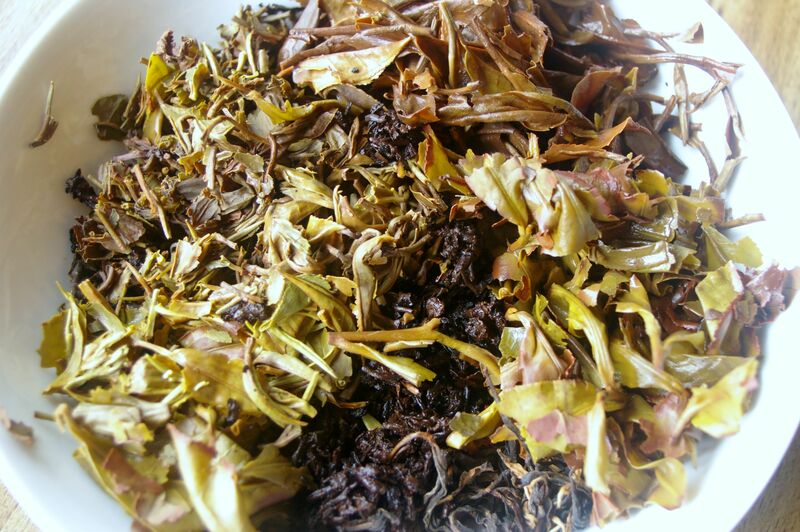 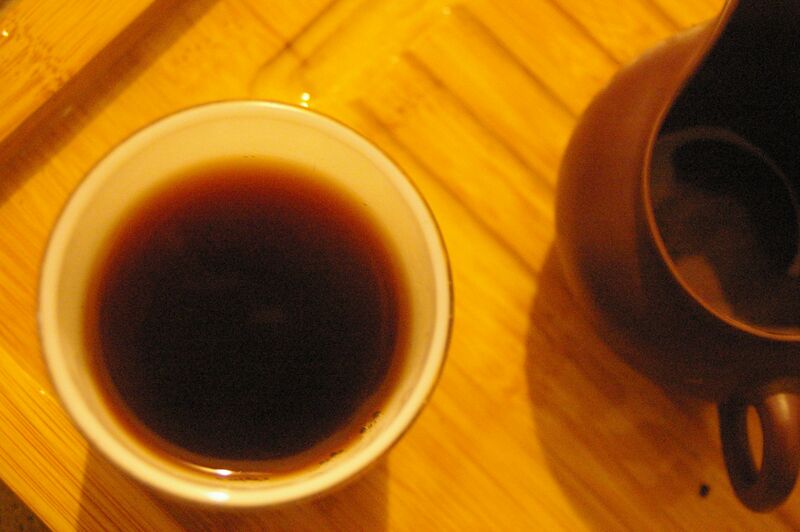 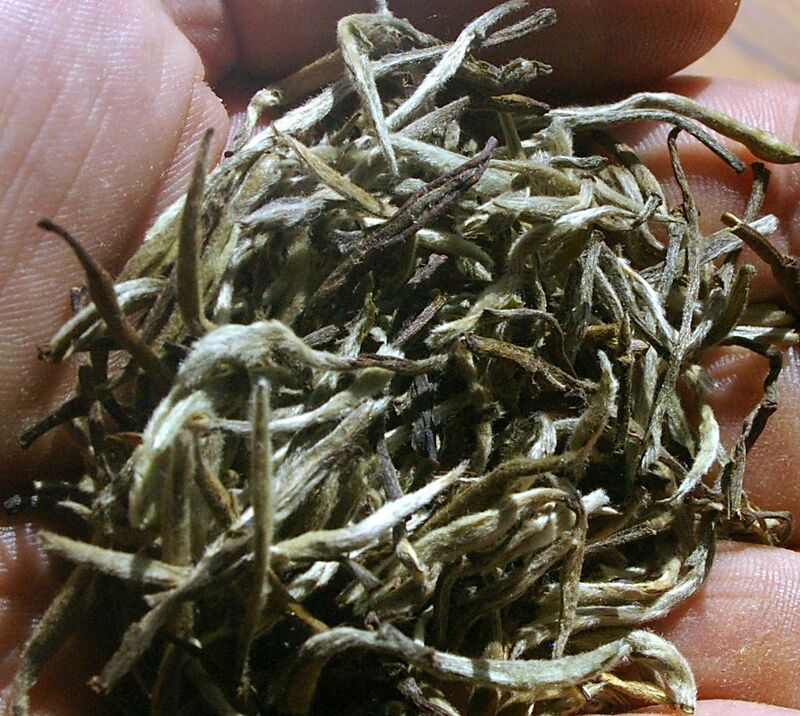 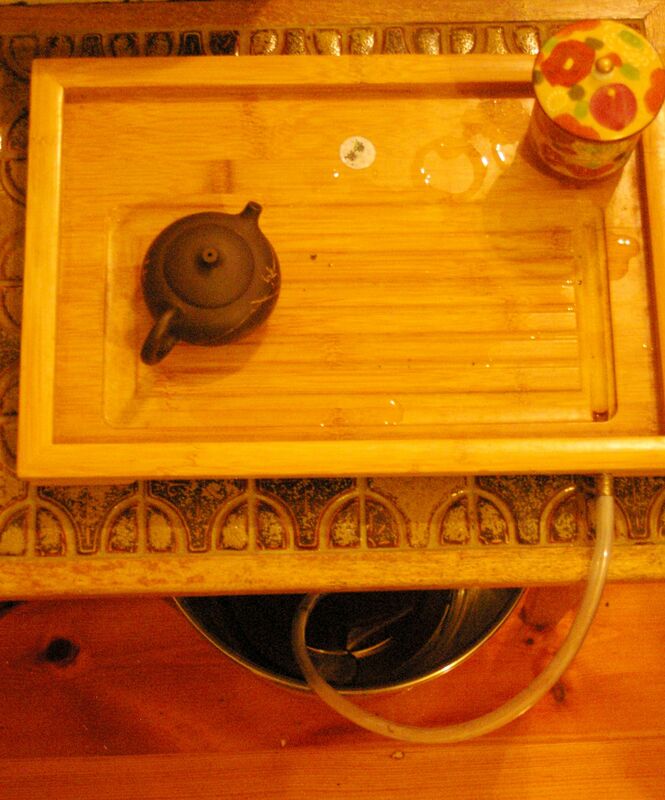 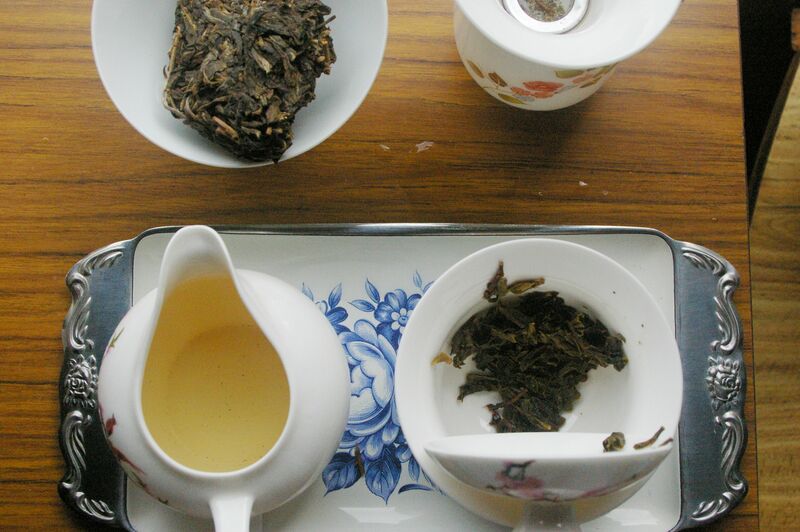 An excellent organic tea from the renowned garden Puttabong, the oldest in Darjeeling, founded 1852. 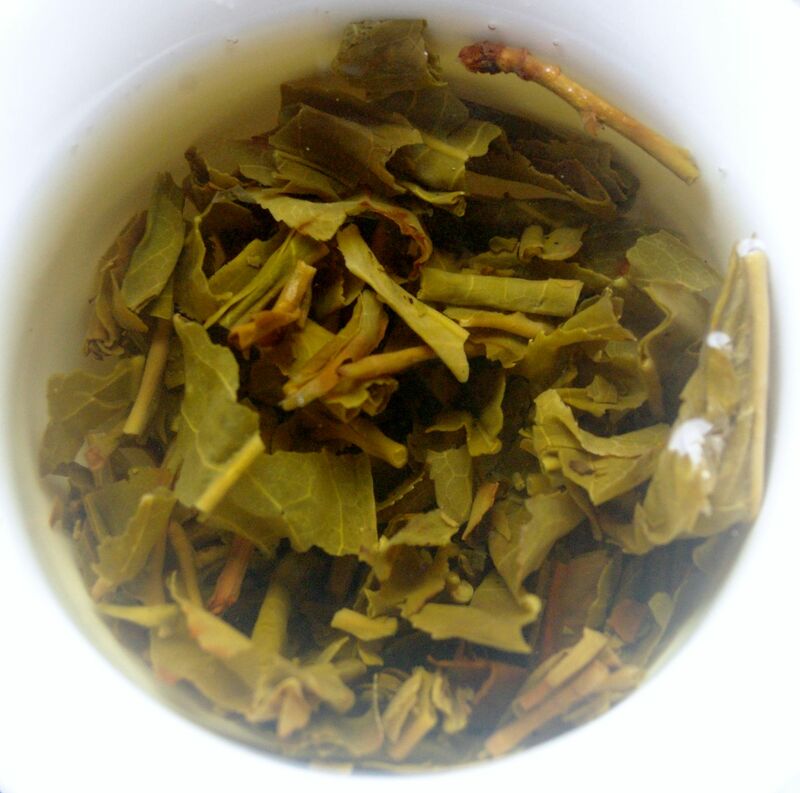 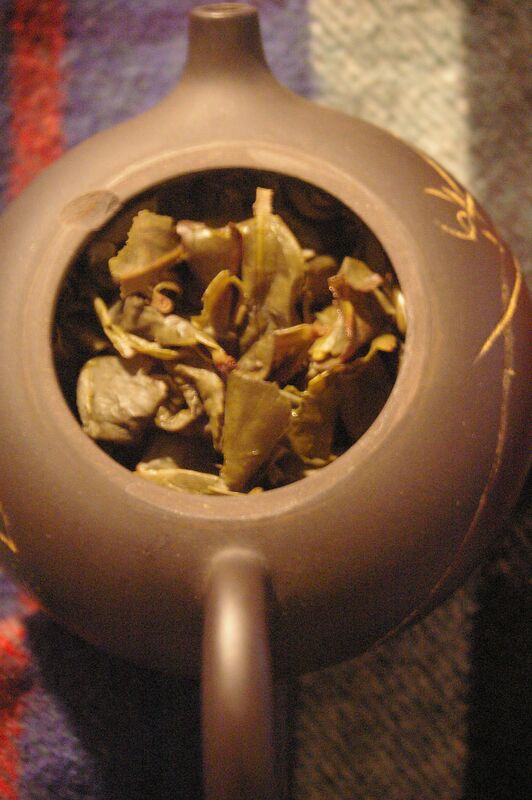 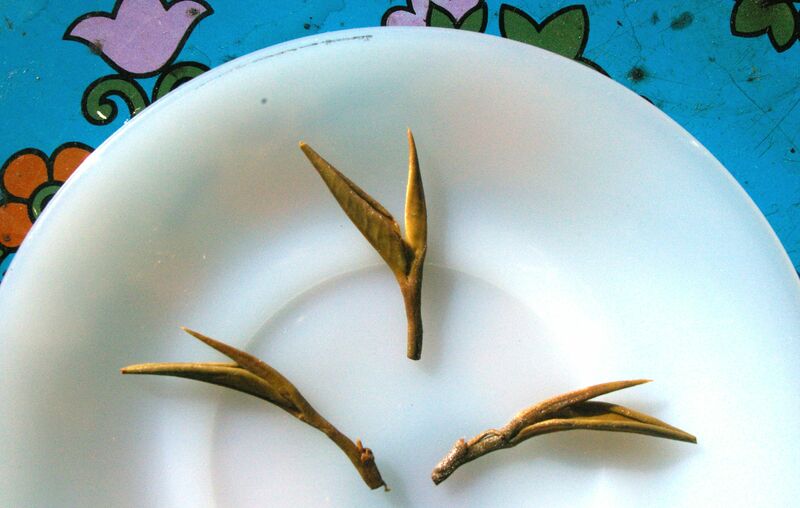 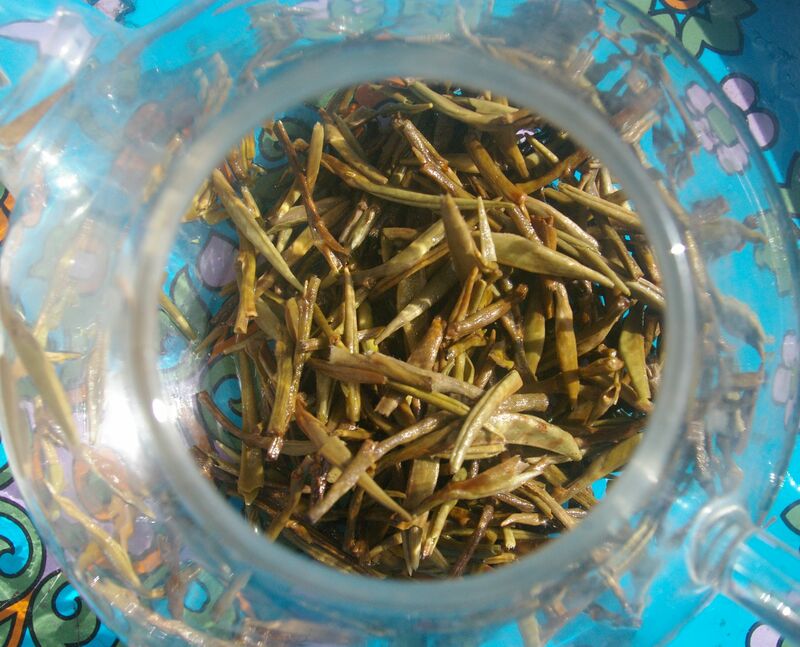 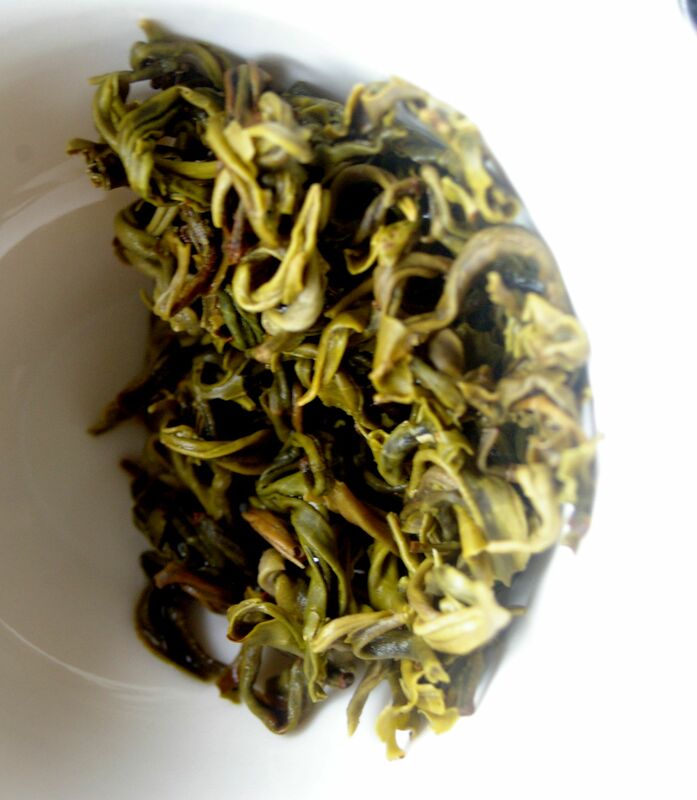 The leaf of the china jat cultivar is affected before harvest by a small insect, resulting in disruption to the leaf structure whilst growing, which causes oxidation, increasing the content of the aromatic substances and changing the colour, giving the tea a special taste. 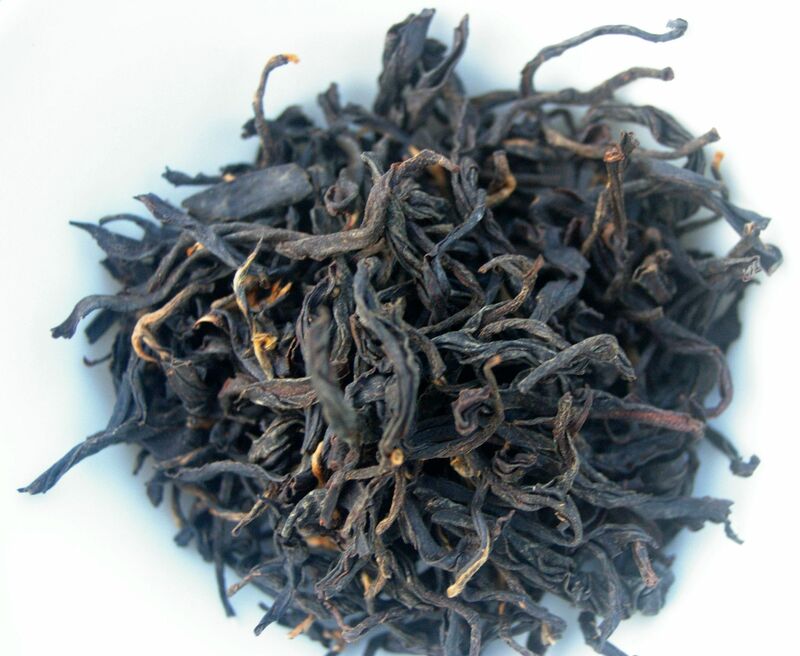 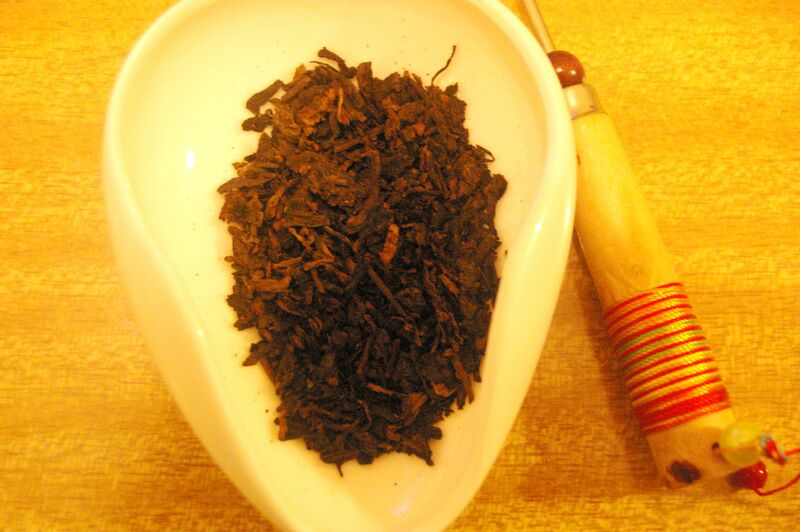 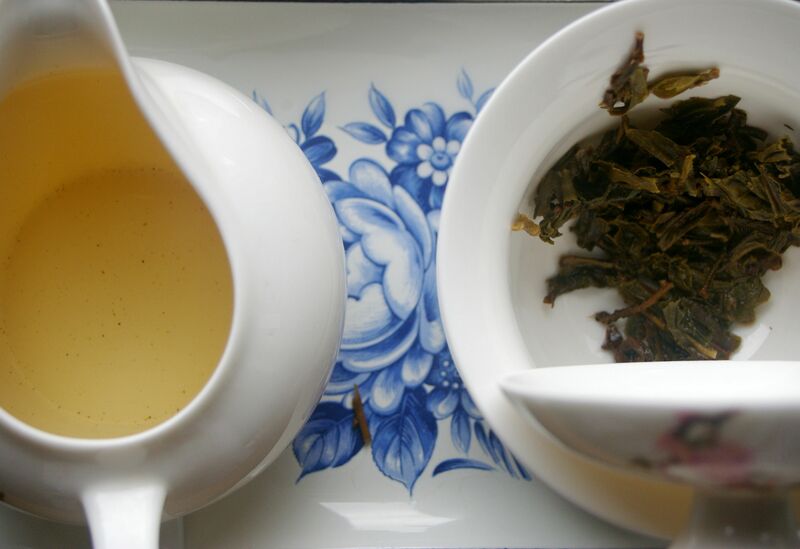 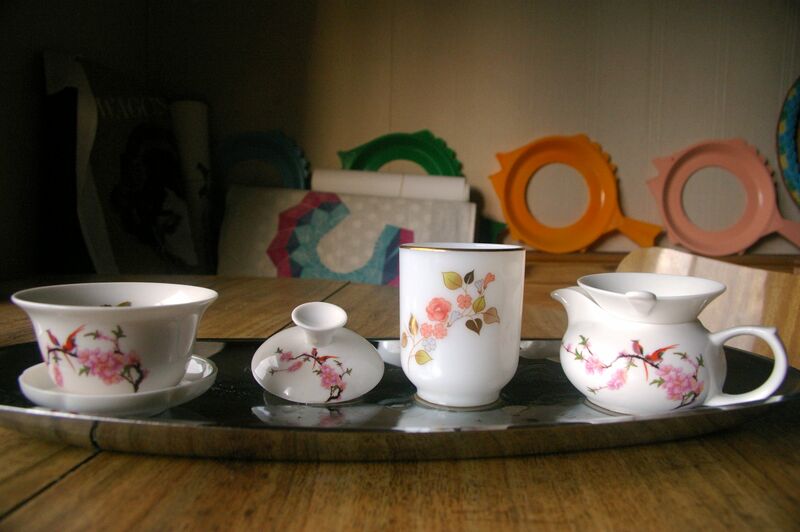 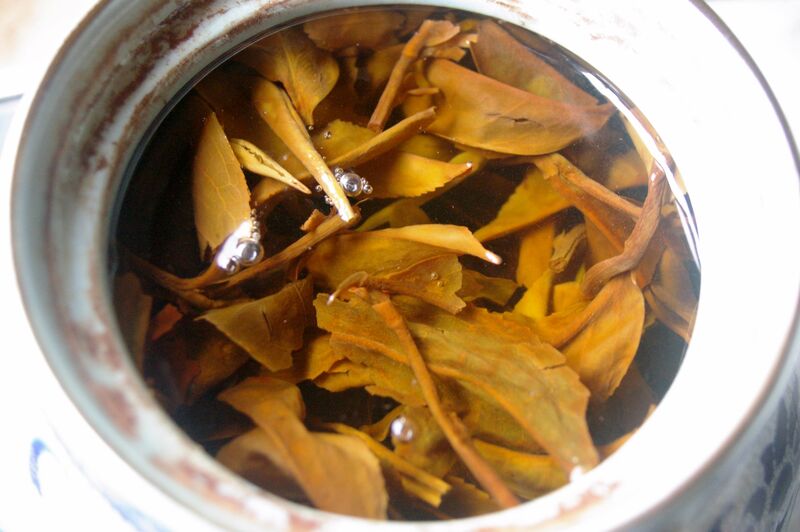 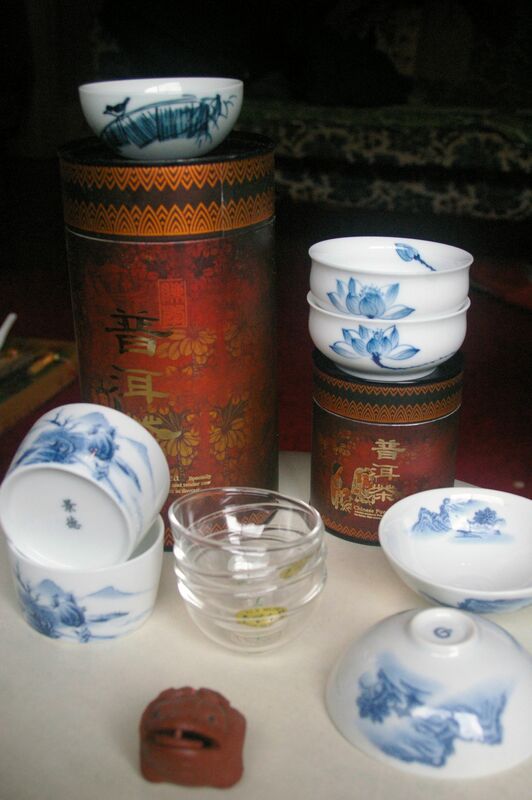 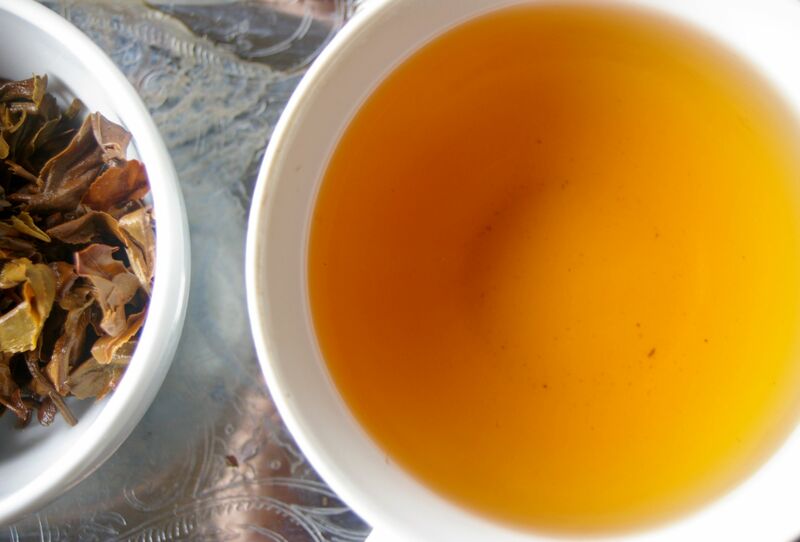 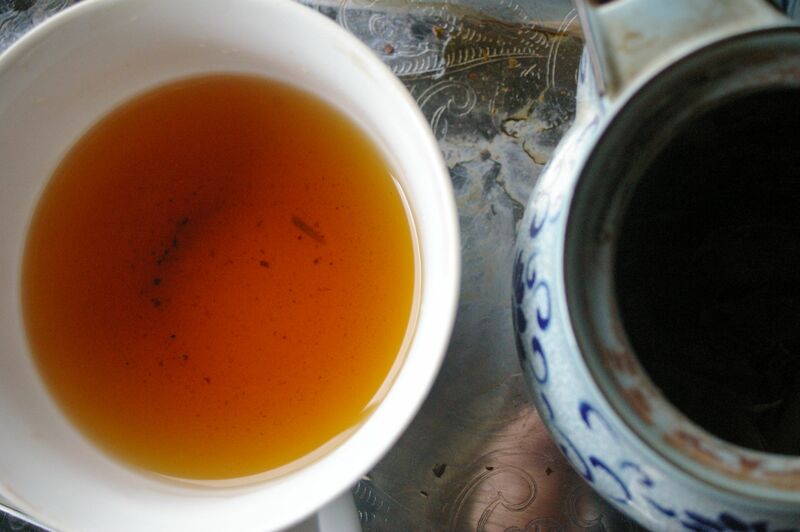 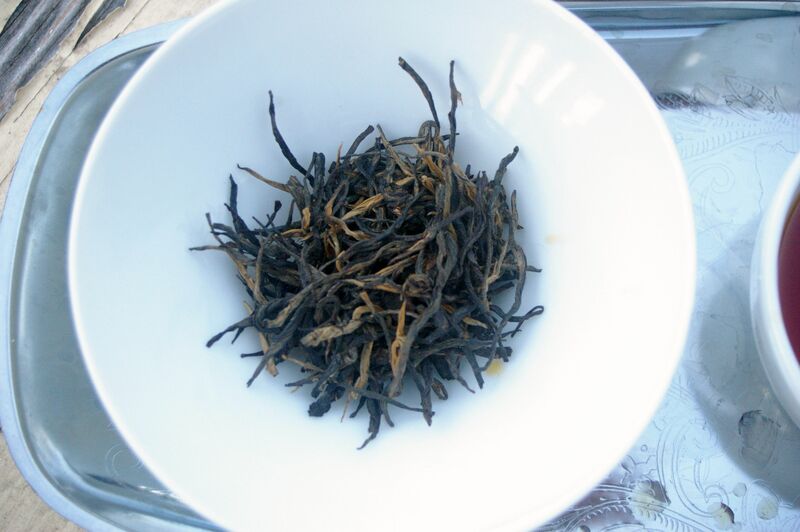 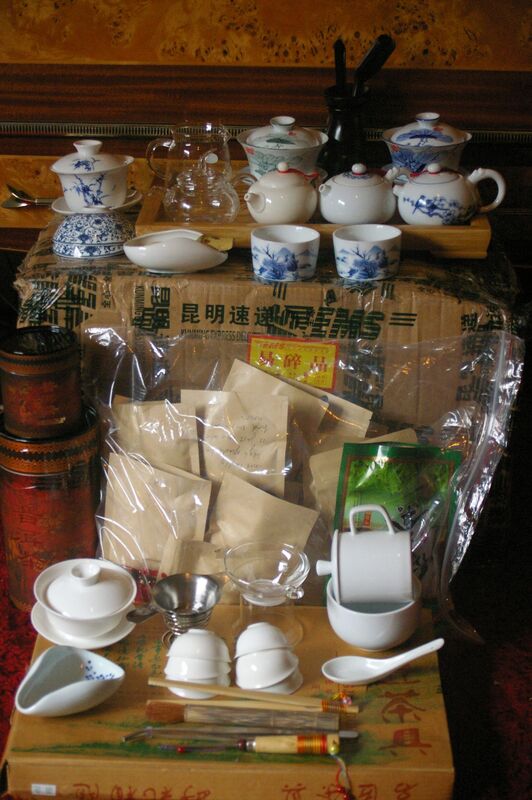 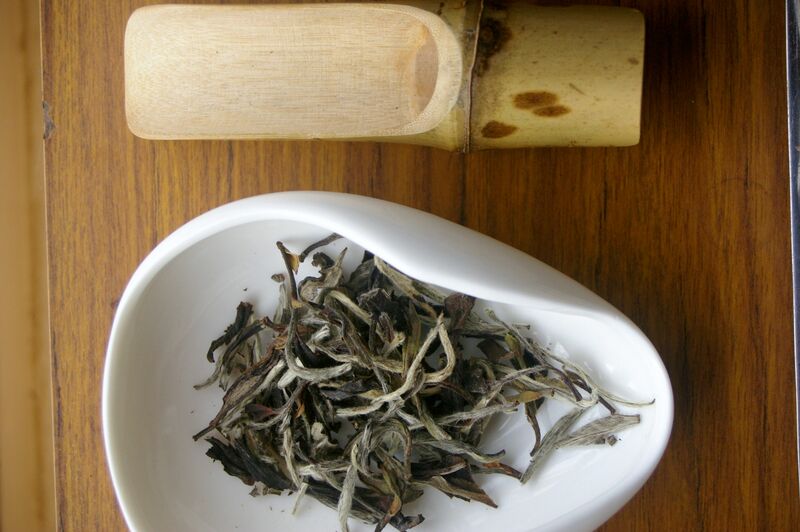 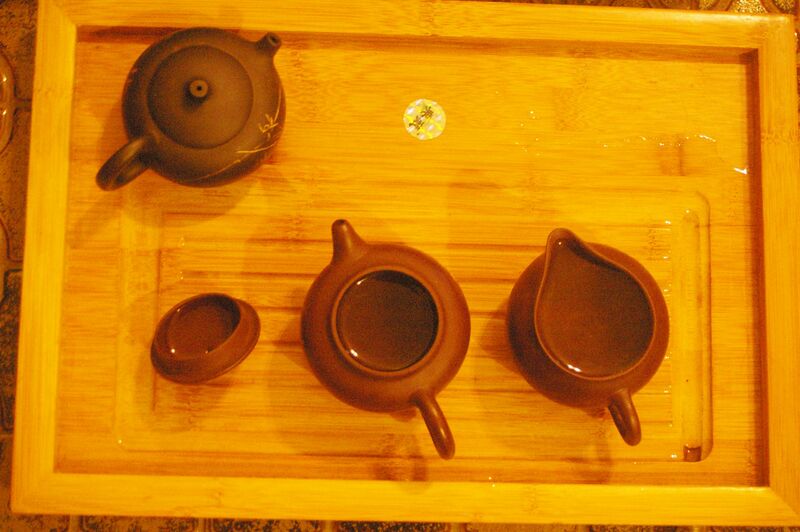 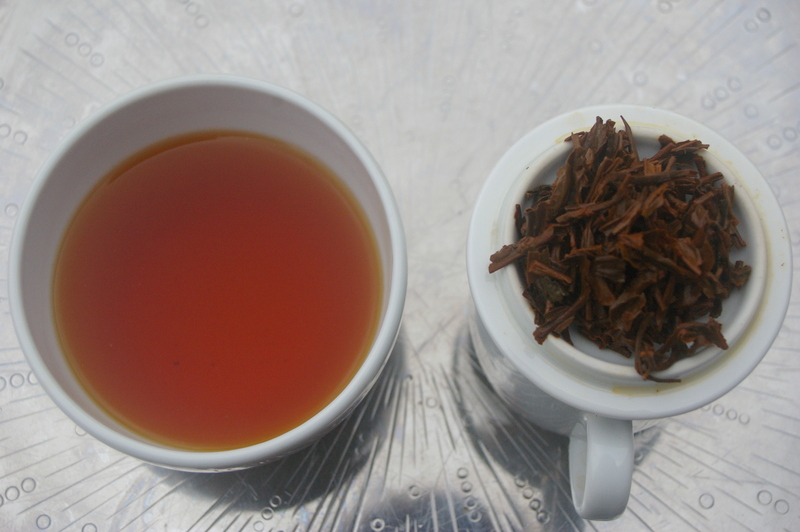 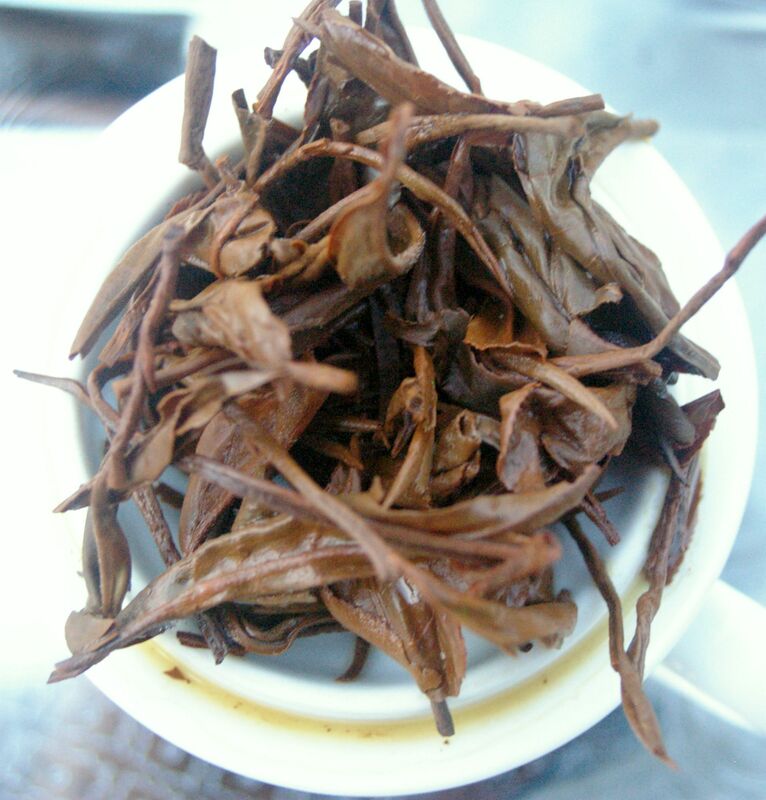 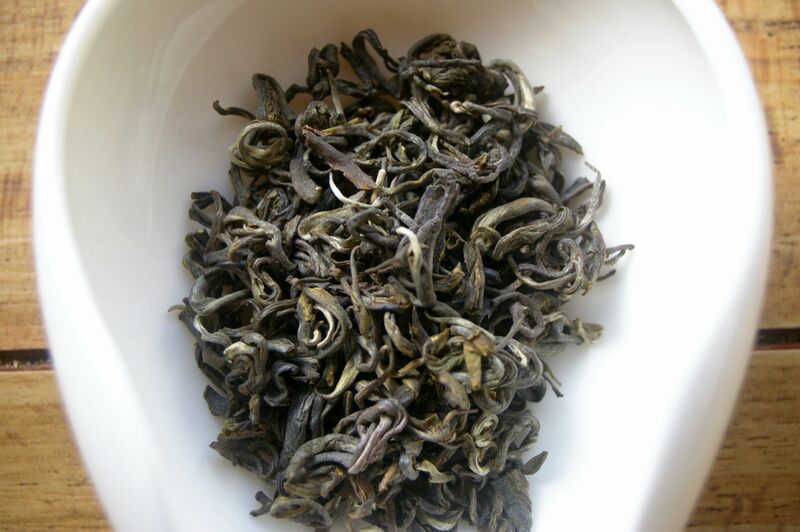 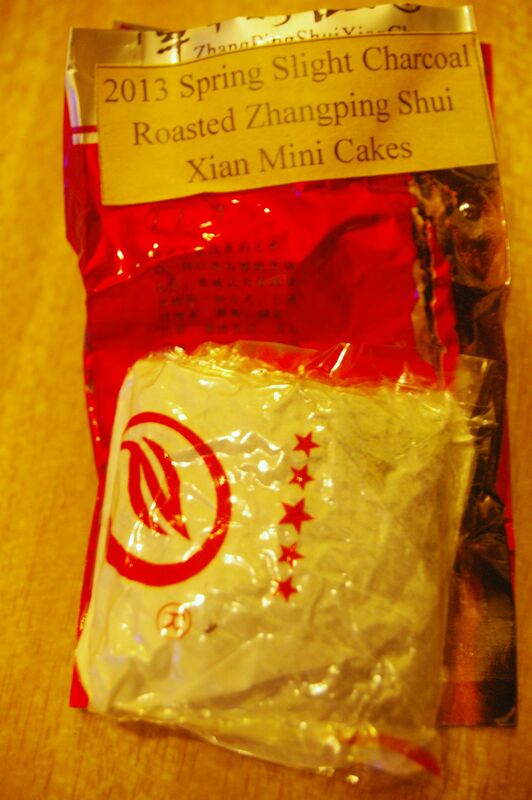 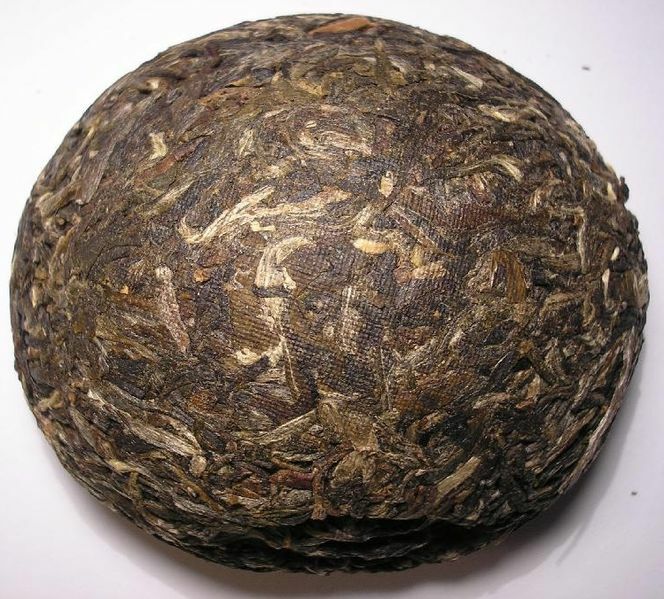 A very well made second flush tea with beautiful dark orange to golden brown colour to the cup with a full heavy aroma, including flavours of precious woods, and the rich taste of ripe fruit and muscatel, which holds on the palate for a delicate and soft aftertaste. 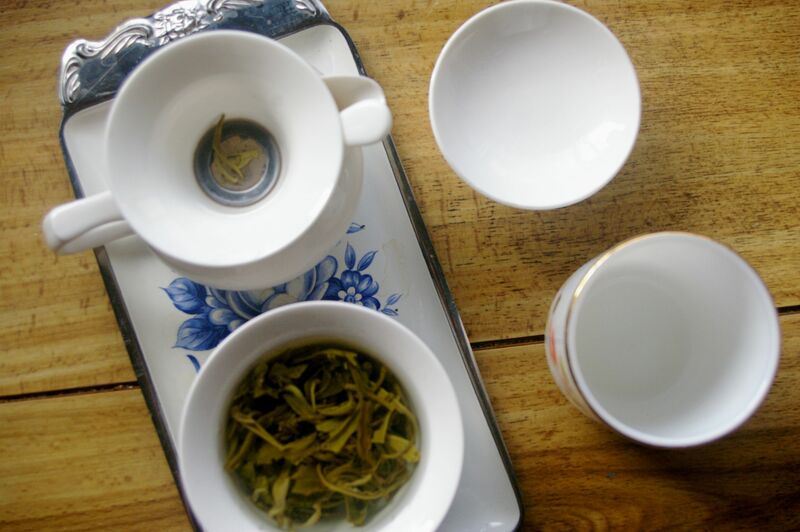 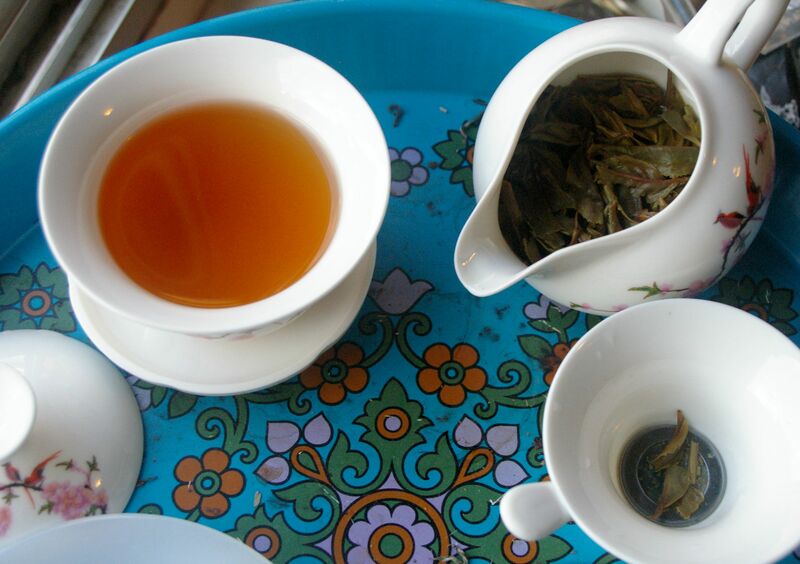 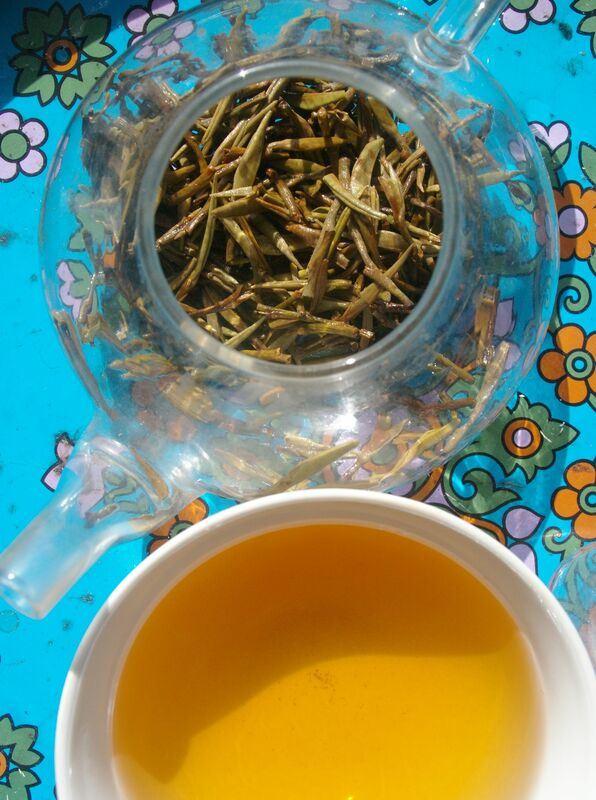 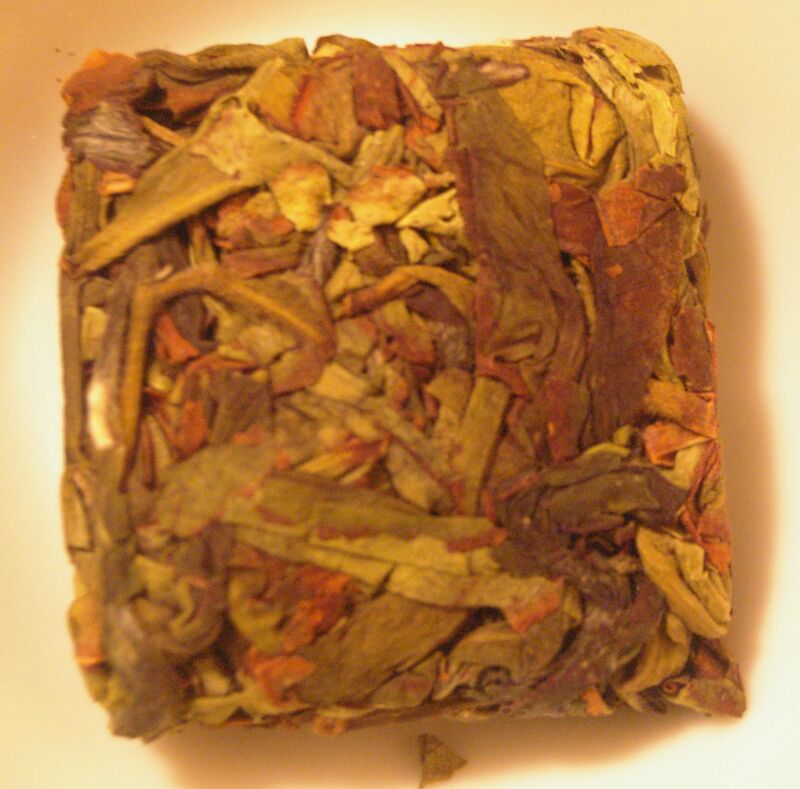 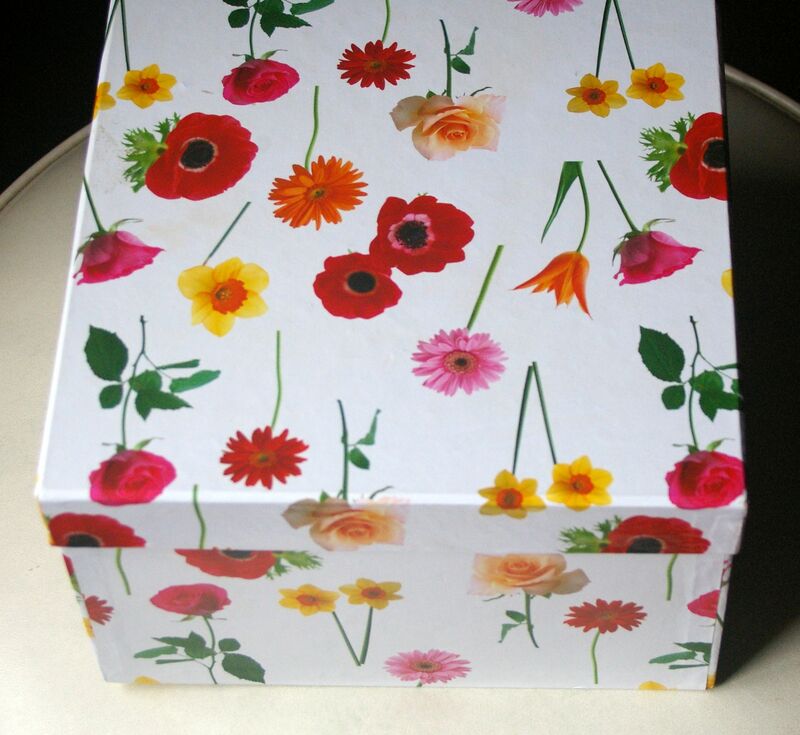 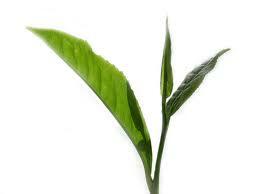 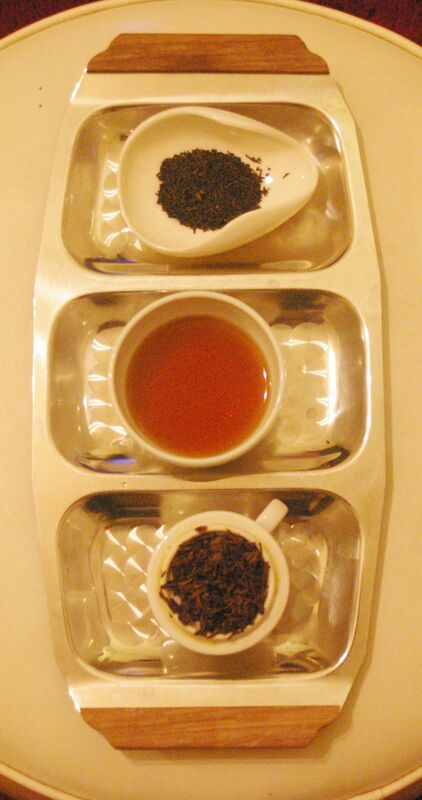 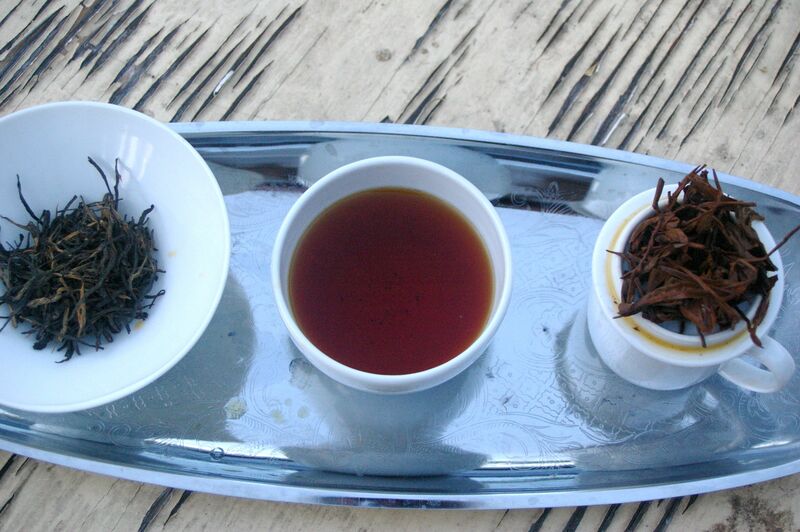 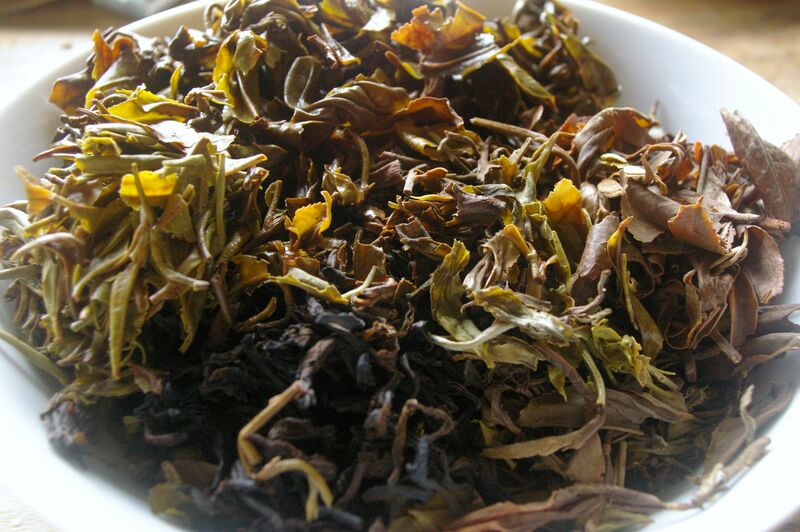 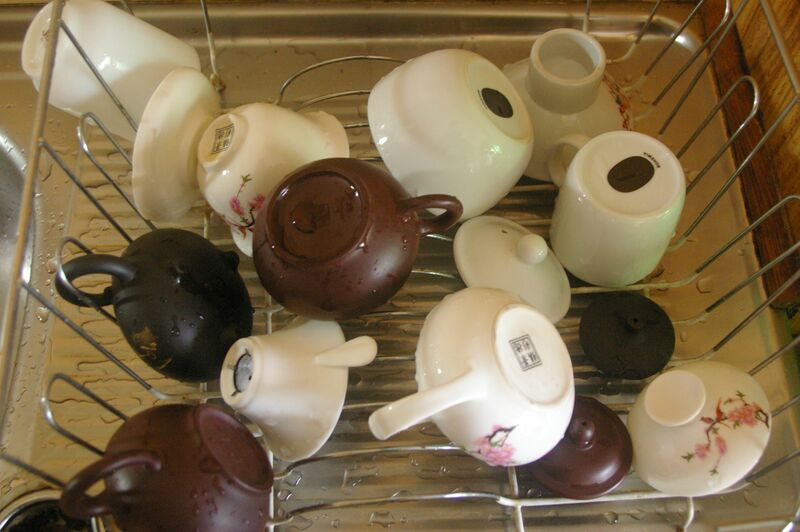 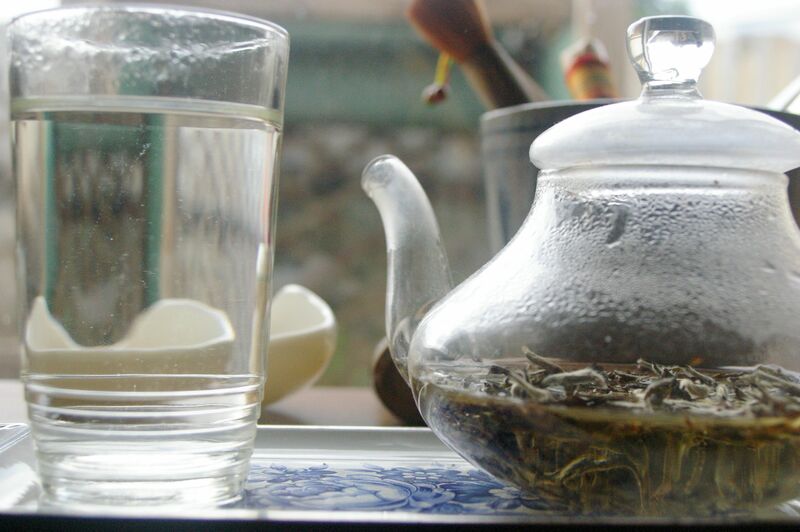 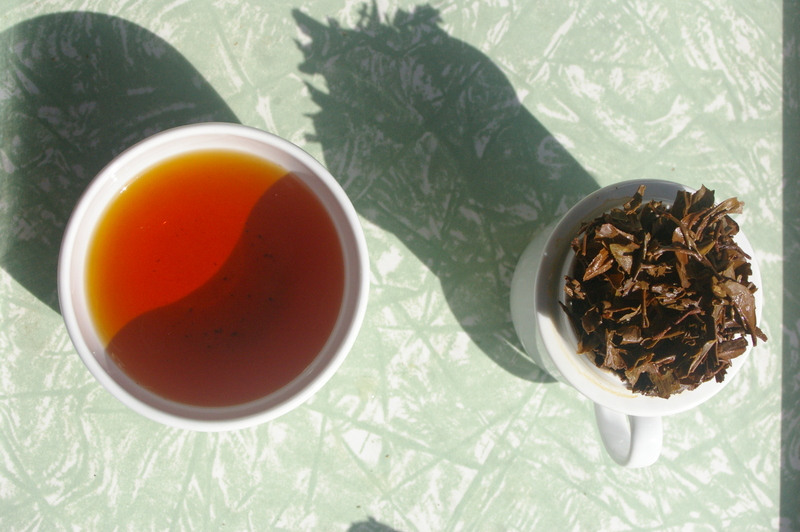 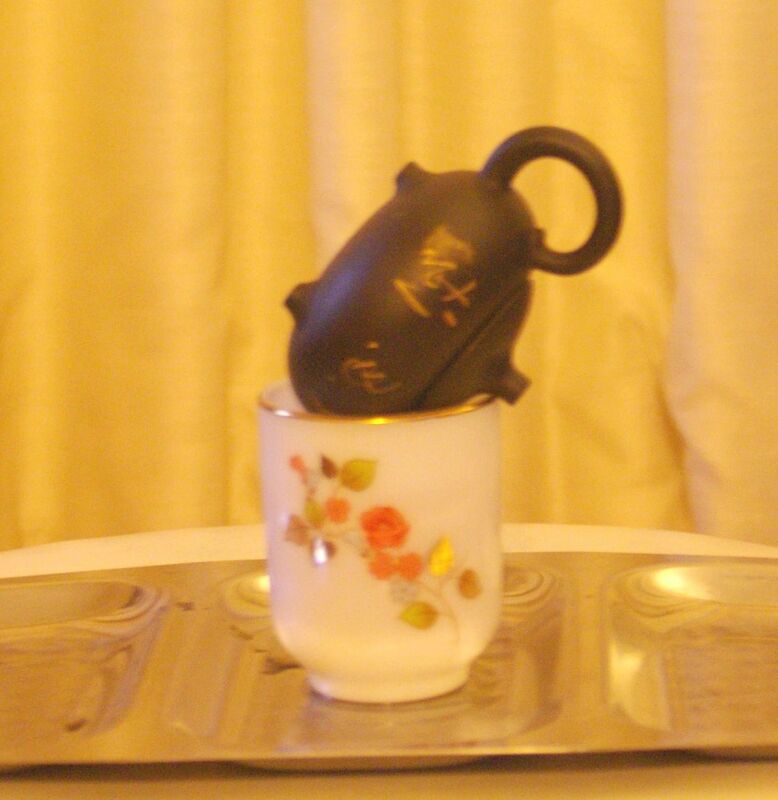 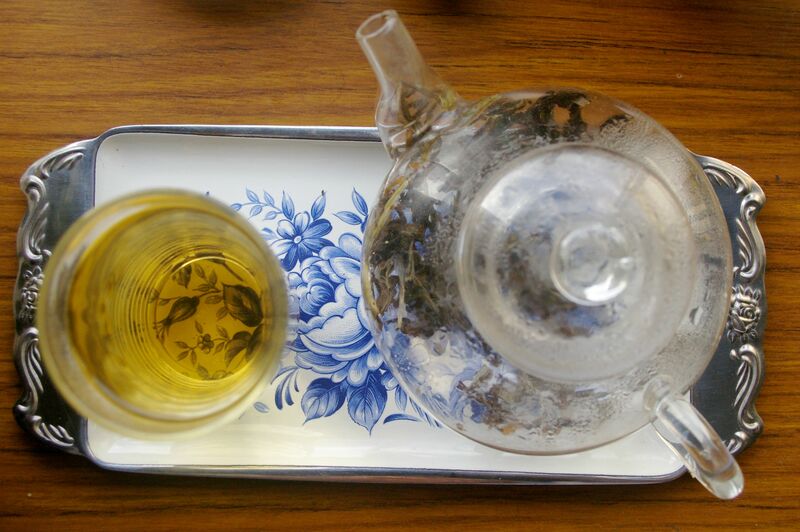 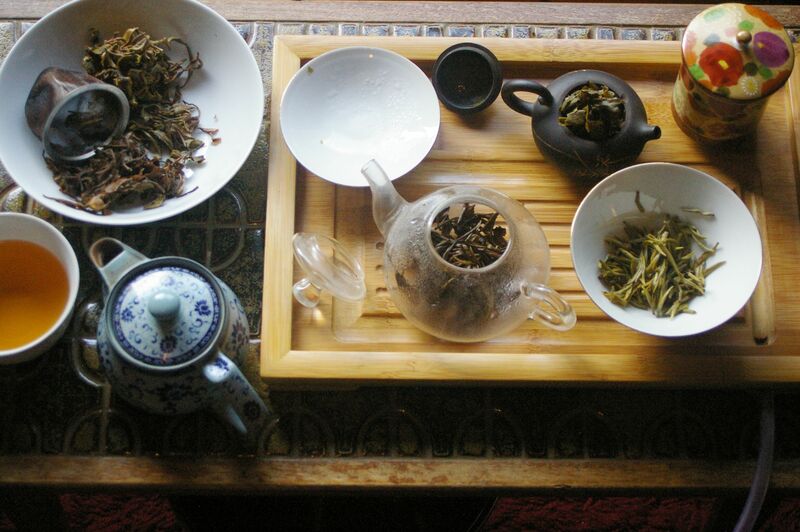 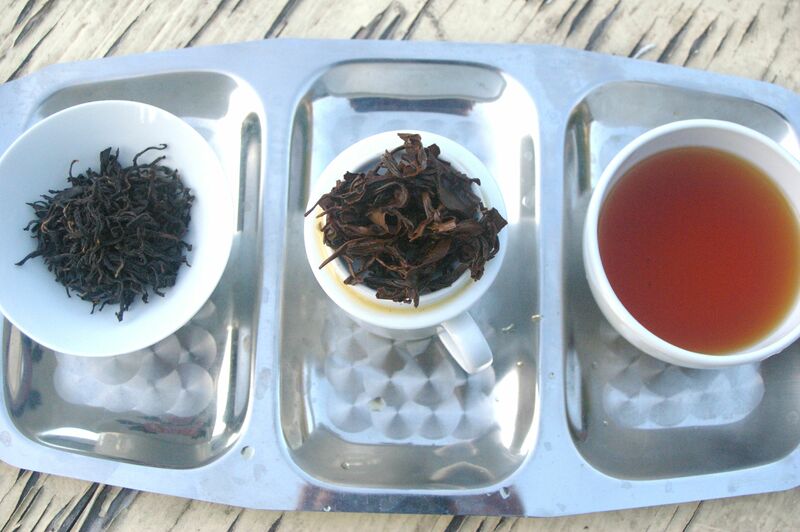 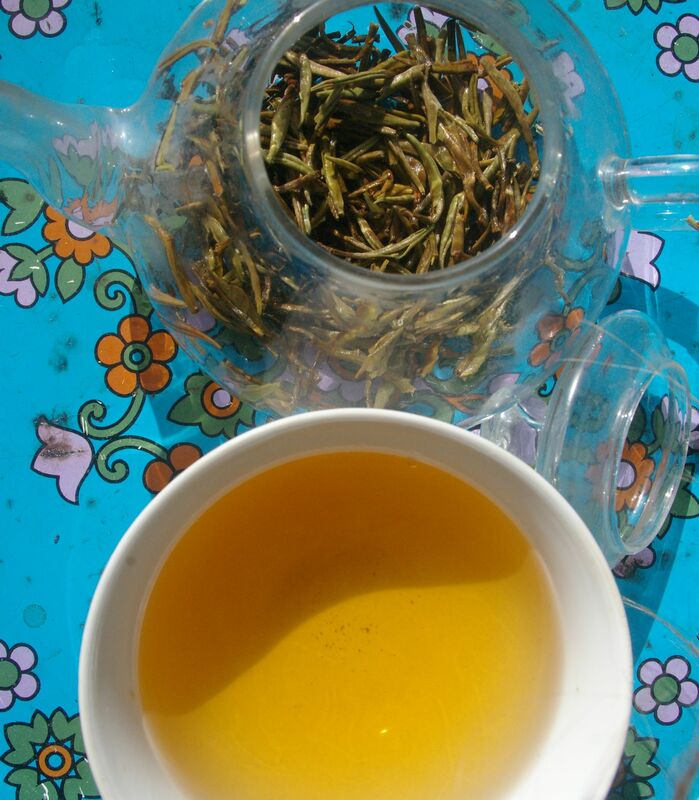 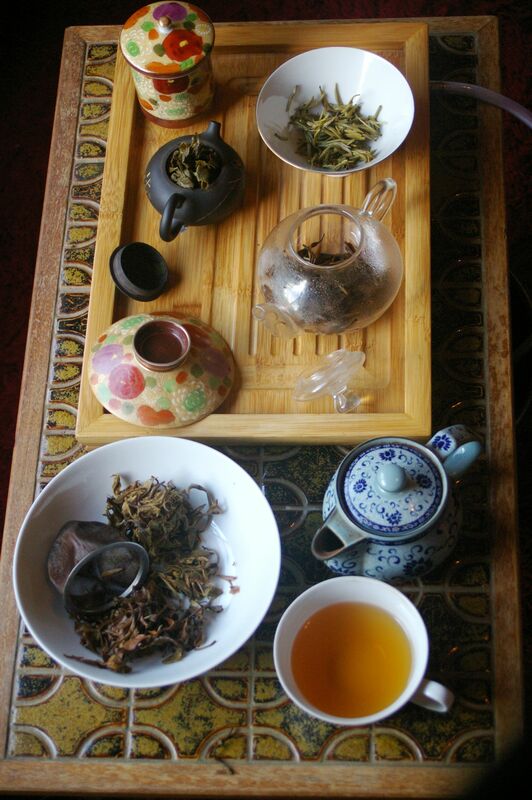 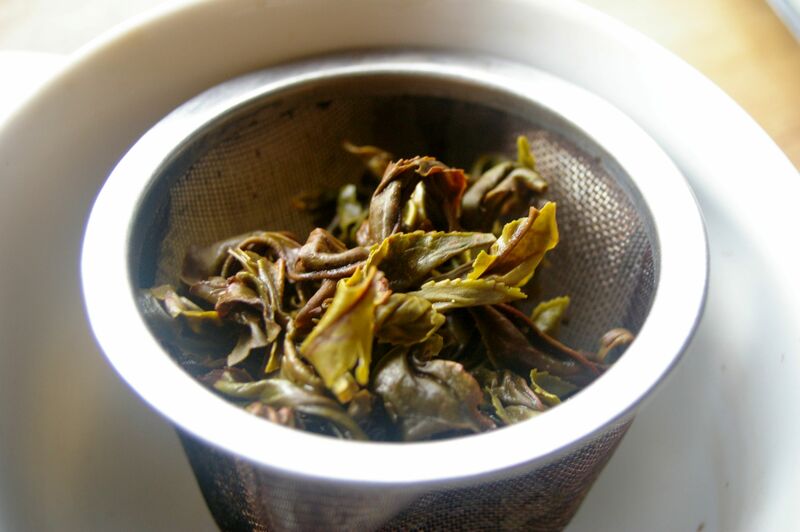 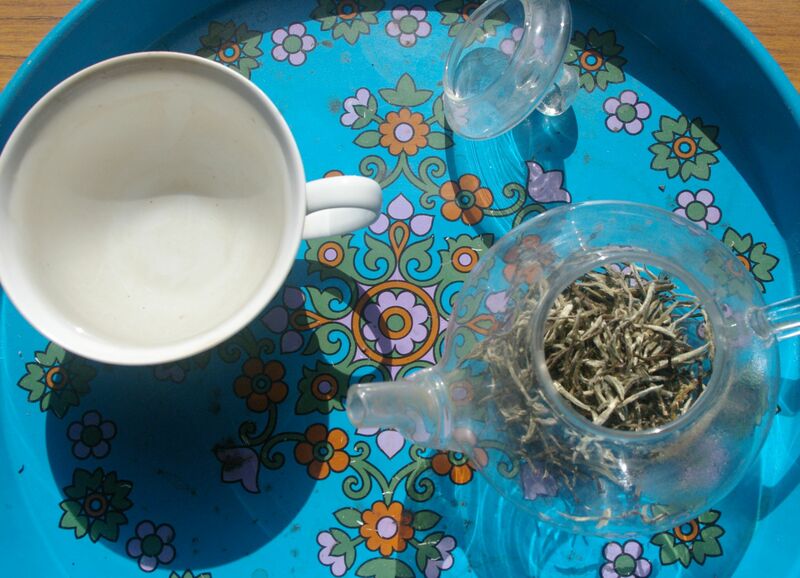 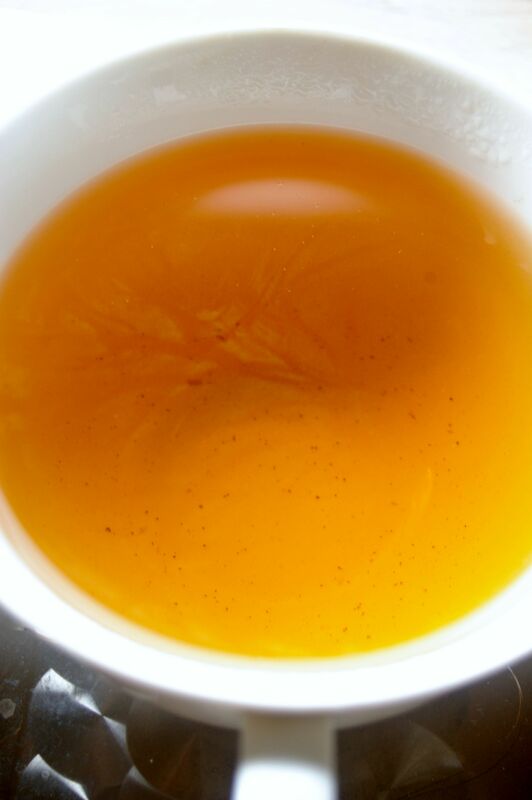 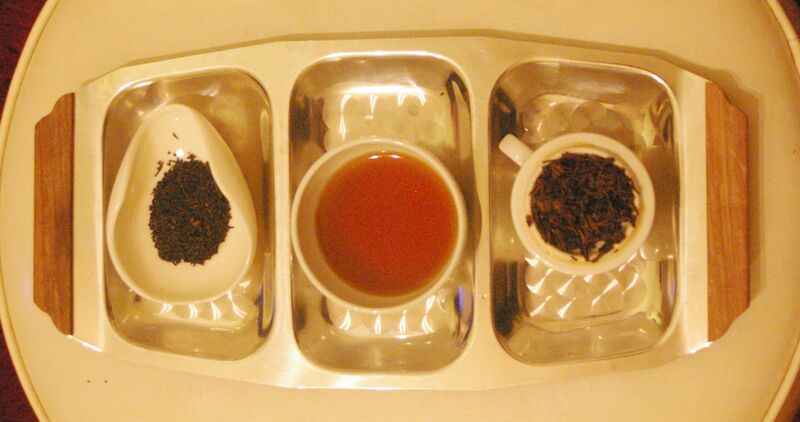 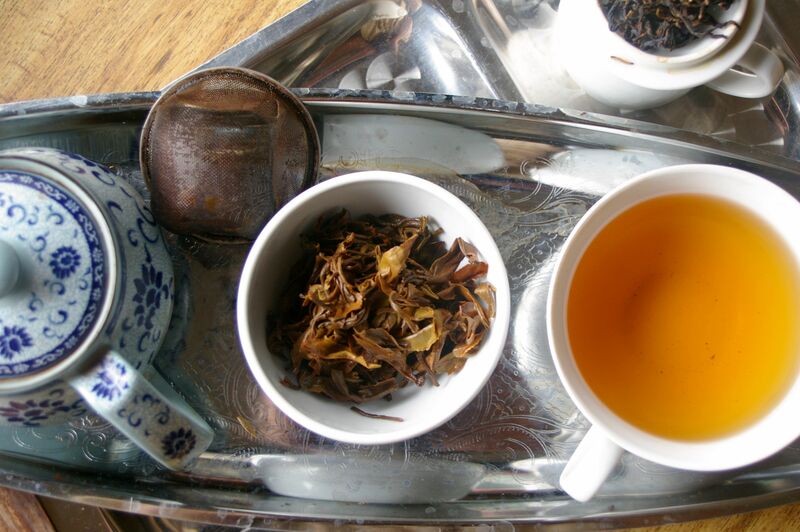 A wonderful tea displaying all the characteristic of a classic Darjeeling Tea in all its balance and glory….enjoy! 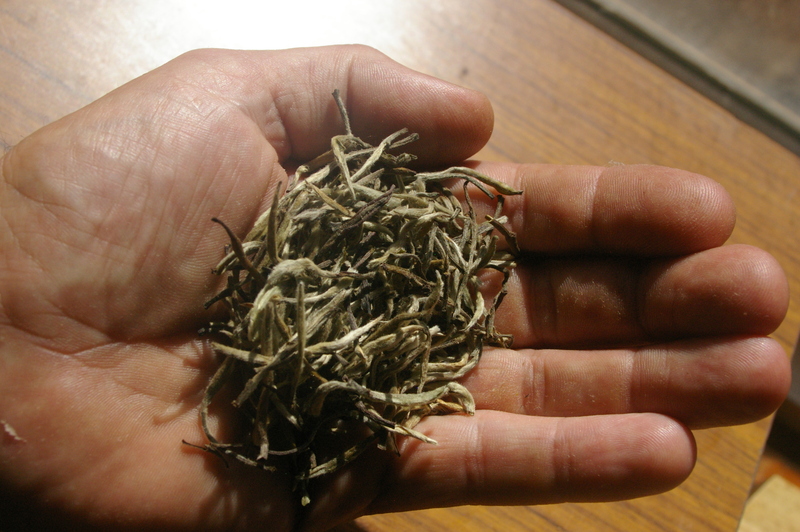 Grown as an organic classic ‘china bush’, -planted from seed not cuttings or clones, in an area found during a patrol searching for water (pani) for the king (jung) whilst warring with the English and Sikkimese . 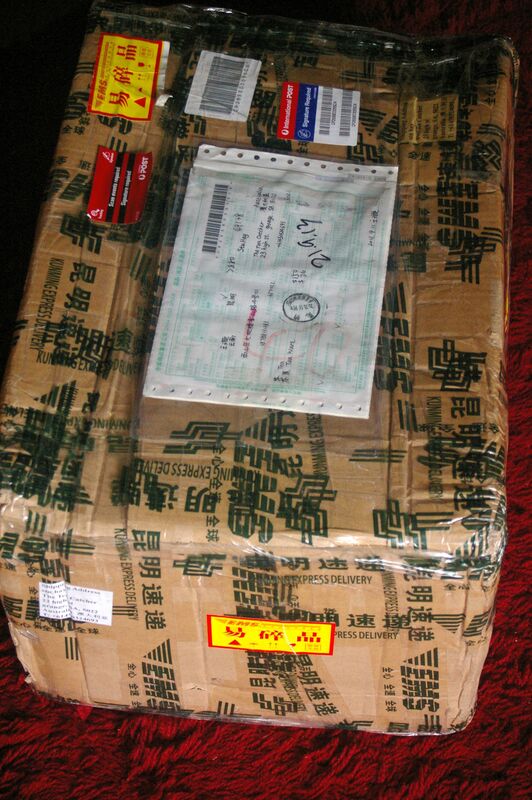 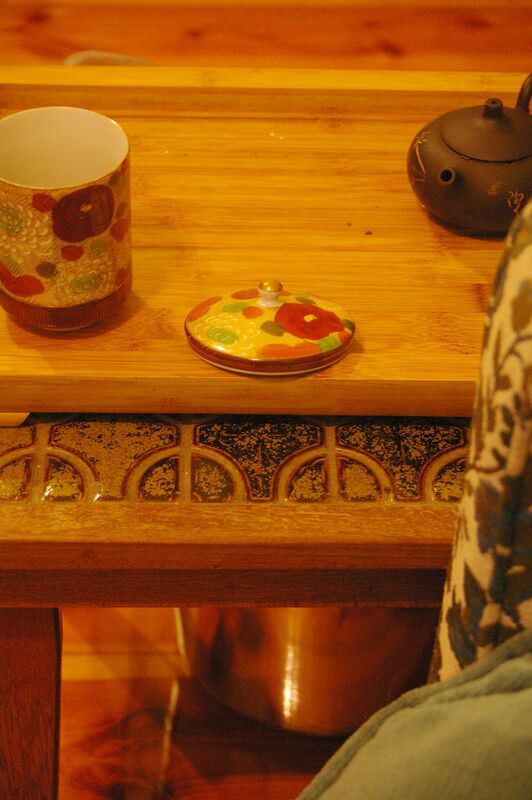 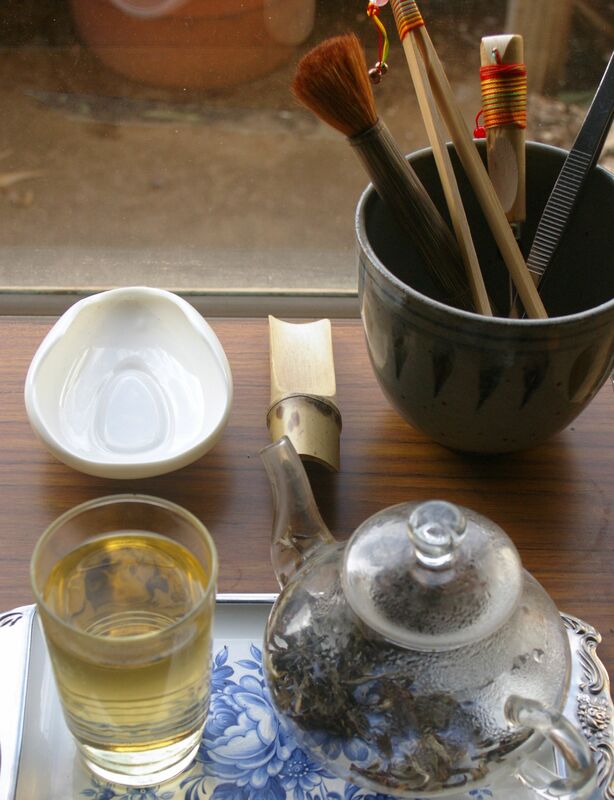 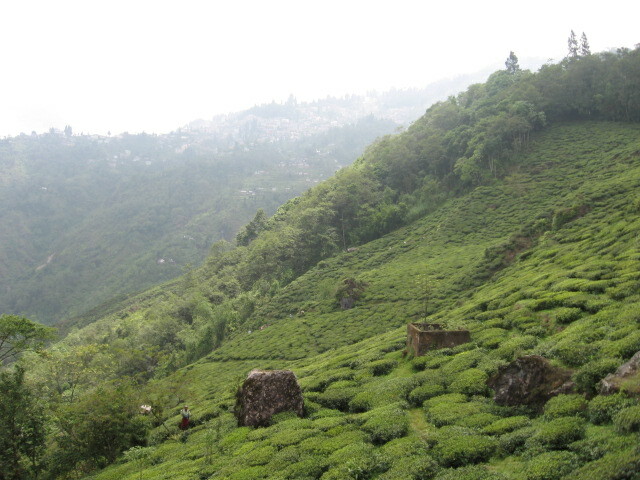 A stream was found and the tea garden later founded. 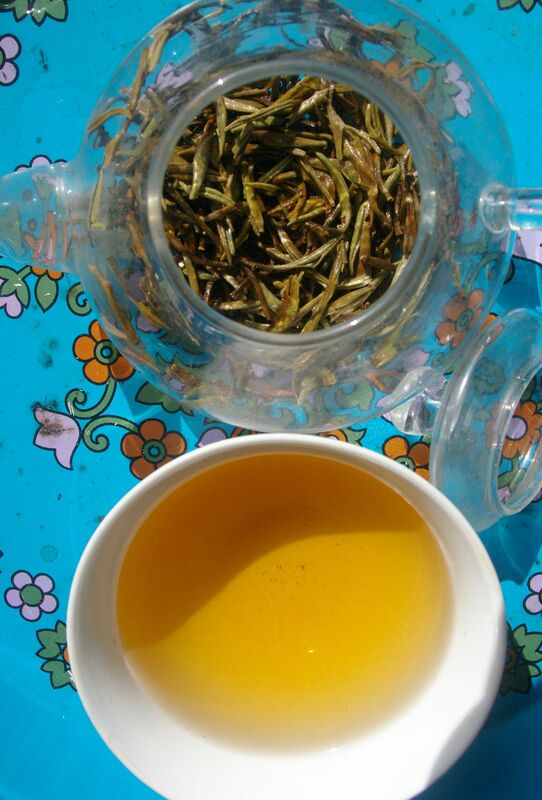 A very nice Autumn flush tea from one of the best classic tea gardens of Darjeeling (china bush etc) harvested in the first week of November 2012. 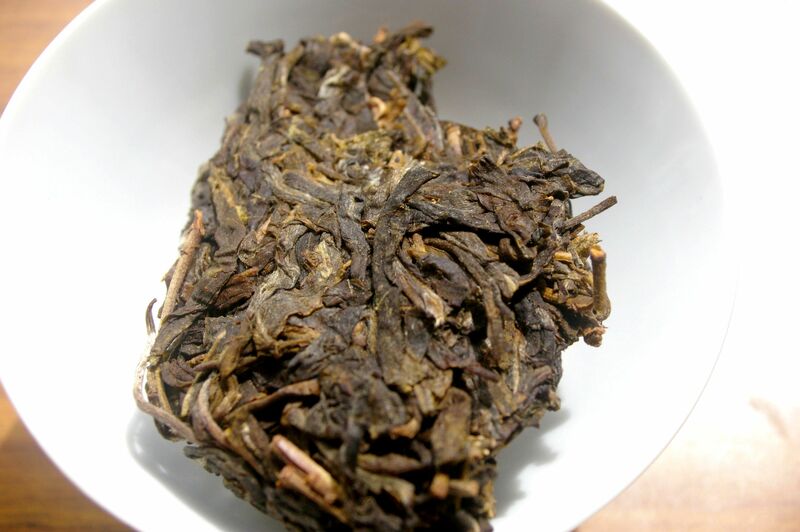 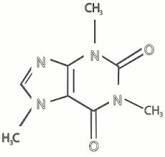 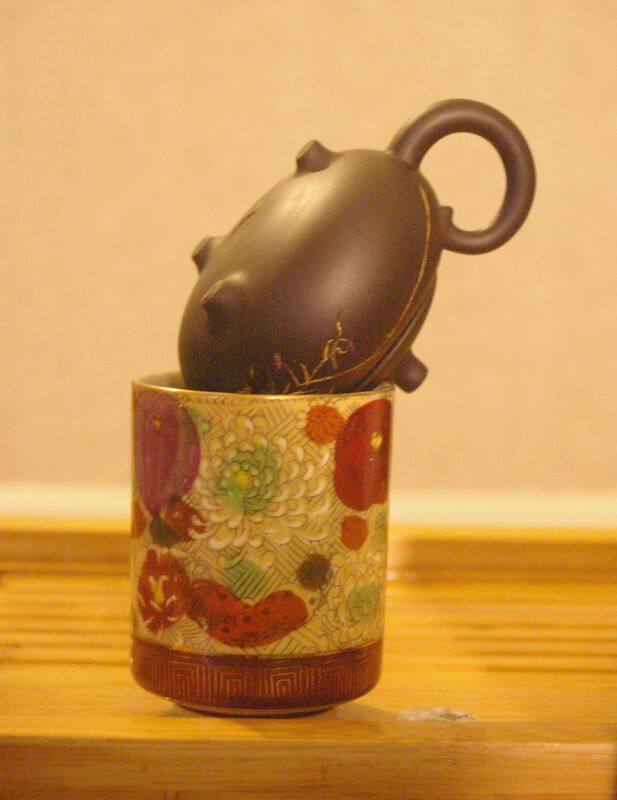 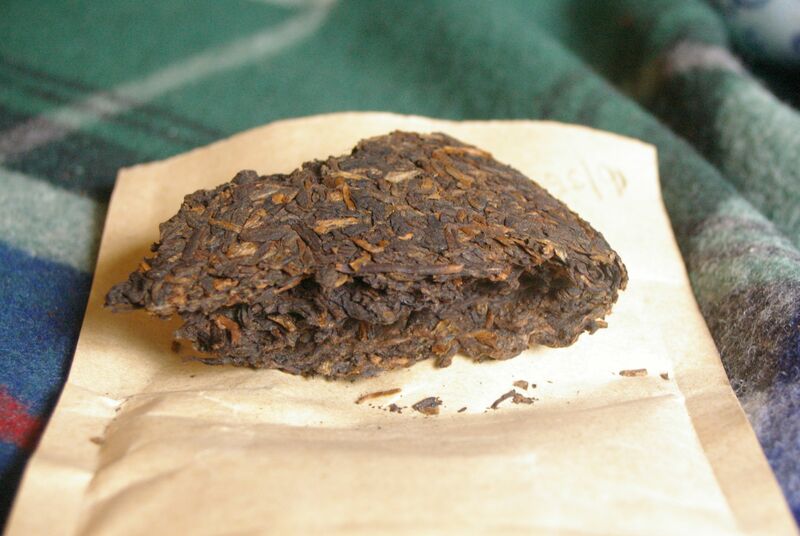 Dry, the tea has a classic dark bigger leaf with a fair amount of silvery and light golden tips, and a pleasant thick aroma of forest honey, Dutch cocoa and ripe blackberries. 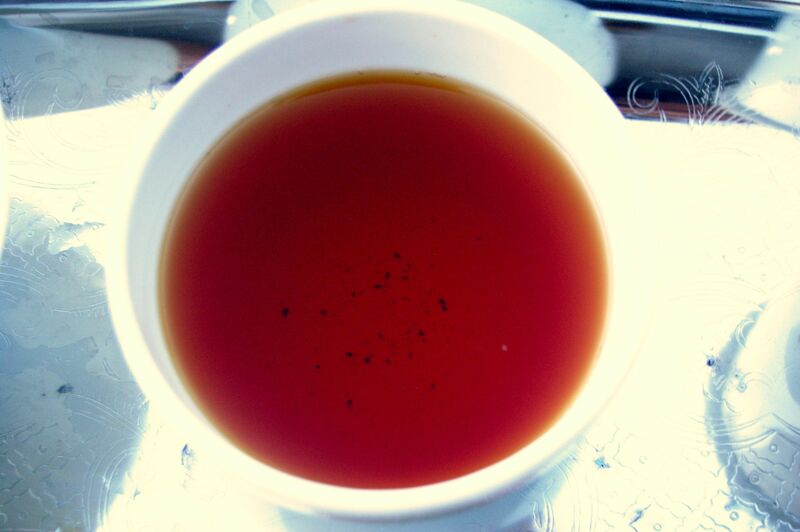 After steeping for 5 minutes we get a dark golden orange sparkling cup with a well balanced medium to heavy taste of the classic Darjeeling teas and hints of mature forest fruits, honey, chocolate..
Whilst not a classic expressive muscatel tea, it is a wonderful harmonious tea with a fine aftertaste including hints of muscatel.